Nothing can steal your engaged bliss faster than planning a wedding. Whether it's money- or time-related, it's one of the most stressful moments you'll have, and that can take its toll on any couple. So how do you still remain happy during those times? How do you really enjoy being engaged? Marriage will have its ups and downs for decades to come, so you can start rooting your solid foundation now during your engagement. Destroying any joy-stealing moments means weathering any storm together. 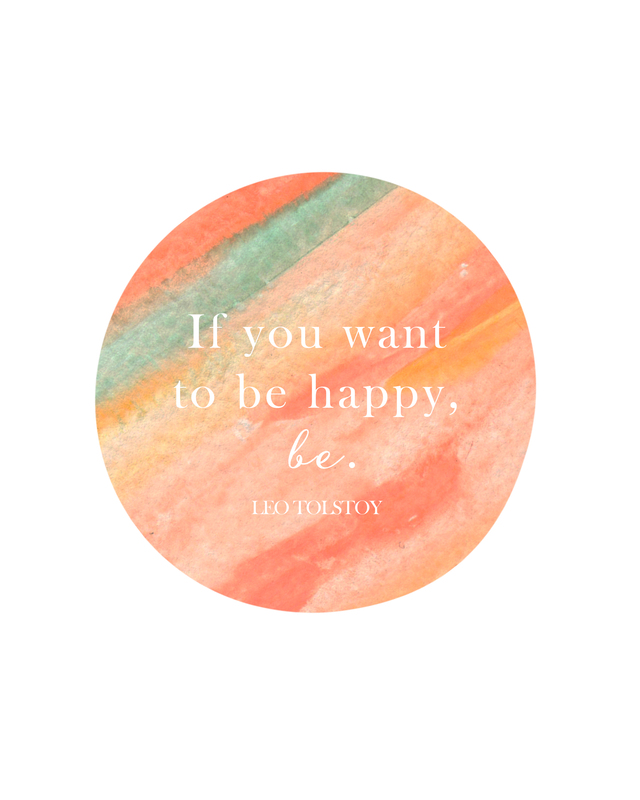 And today, we have the top ten ways to be happy during this planning process AND a fabulous free printable for you to keep and display as your reminder! 1. Celebrate the little things. Did he get a thank you card from his manager? Did she have a great day with her classroom? No matter how small, celebrate. 2. Be proactive and help each other. When wedding planning, it can be as simple as saying you're going to put stamps on envelopes or even taking him cookies as he designs the wedding signs. Try to be more observant than usual and do something before being asked. 3. Veg out together. There's nothing quite like planting yourself in front of the TV and having a good ole Netflix binge (our personal favorite!). Or if you're a coffee nut, head over to your favorite local coffee shop and people watch together. Relaxing and doing "nothing" (especially nothing wedding related!) recharges all happy batteries for you to be able to see how great it is to be engaged. 4. Create a Weekly To Do list… and stick to it! We don't know about you, but we have lists out the wazoo on our desks, but the best list is our "week of" list because we know that's what we need to accomplish in the next five days. Doing the same for your wedding tasks helps you manage realistic expectations for each other and for yourself. Schedule that cake tasting? Book your DJ? Gather up guests' mailing addresses? Thankfully you don't have to do it all at once! Knowing what are top priorities and sticking to them rather than piling on more to your list can help keep you from losing your bliss. 5. Spend time away from each other. Go out to the movies with your besties or head to the beach with your family. Being apart is such a healthy part of any lifelong relationship (and even a bigger reality with military couples!). It makes you appreciate the other more and heck, it'll even help you be more productive during the wedding planning process, especially if you don't live in the same city together! 6. Play a game together. Are you a modern gamer? Or a classic chess guru? Whatever you are, challenge each other to a battle of the wits and skill. A good ole friendly competition ignites some laughters for sure… especially if your skill set does not lie in Pop Culture Trivia (guilty)! 7. Give each other grace. The wedding invitations weren't mailed. The florist's deposit wasn't paid. The photography questionnaire wasn't filled out. We are human and will disappoint each other over and over and over again. Accept it, acknowledge it, and sometimes just move on or if the situation warranted it, express your thoughts and feelings, and then move on, together. Just love 'em a little bit harder! 8. Do something just for you. For us, we like to go to Target and just wander the aisles. No one vying for our attention, no time constraints, and no pressure to buy anything (but let's be real, that is inconceivable for Target). Find your happy place and go there often during wedding planning. 9. Go to vendor meetings together as much as you can. Teamwork. Involve each other in the planning process. There's no such thing as one person's job when it comes to a wedding. Due to schedules and geography, sometimes you aren't able to be together in those meetings, so cherish the ones you do have. 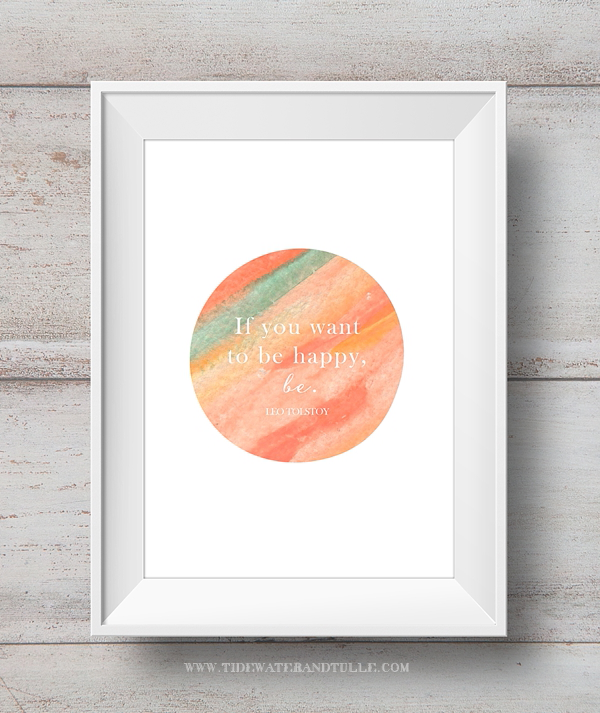 … and to help remind you of ways to be happy, we have a FREE PRINTABLE for you to download and print! It can be printed on regular 8.5" x 11" printer paper and then trimmed down to fit an 8x10 frame of your choosing. This printable is made available for personal, non-commercial use. If you wish to include it in a roundup or pin on Pinterest, we encourage and appreciate you to do so, but it must be linked to this blog post as the original source. Please do not rehost, redistribute, or sell. Unauthorized use of this material without express and written permission from this post's author is strictly prohibited. Chelsea LaVere retains full copyright of this digital file.